NIrV, Under the Sea Holy Bible by Zondervan is an amazing Bible for kids! My 8 year old loves fish so she was more than thrilled to receive this Bible. She loves the sparkling fish on the interior and the beautiful cover. The colorful inserts featuring whimsical underwater scenes with themes of God’s care and love for each of us and all of creation is also a wonderful touch to this Bible. 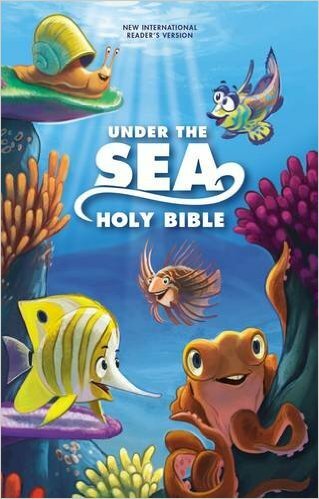 This Bible is absolutely perfect for kids 6-10 years old, especially those that love fish. I highly recommend this NIrV, Under the Sea Holy Bible by Zondervan! You can find NIrV, Under the Sea Holy Bible by Zondervan on Amazon, Barnes and Noble and other bookstores.